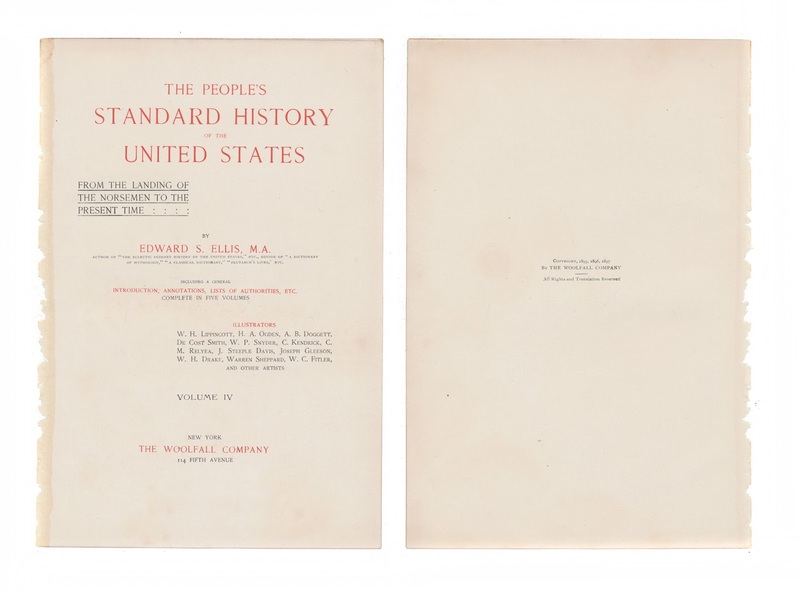 This 10" x 6.5" original plate comes from Volume Four of "The People's Standard History of the United States" edited by Edward S. Ellis. The book was published in 1897 by the Woolfall Company of New York. Edward S. Ellis (April 11, 1840 – June 20, 1916) was an American author who was born in Ohio. He was a teacher, school administrator, journalist, and the author of hundreds of books and magazine articles that he produced by his name and by a number of noms de plume. Notable fiction stories by Ellis include "The Steam Man of the Prairies," and "Seth Jones, or the Captives of the Frontier." Internationally, Edward S. Ellis is probably known best for his Deerfoot novels read widely by young boys until the 1950s. 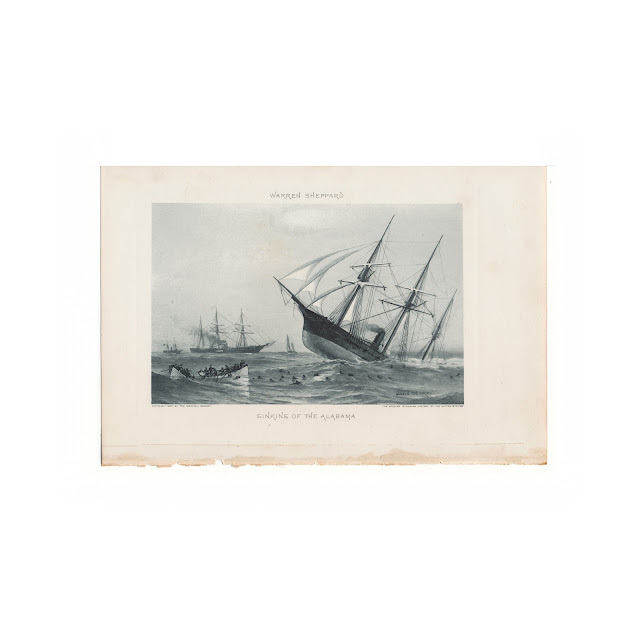 This illustration, titled "Sinking of The Alabama" was produced by Warren Sheppard. The paper is generally clean and bright, with no significant tears or stains. Original tissueguard is included. Title and copyright pages from the original book shown for informational purposes and is not included with the sale.